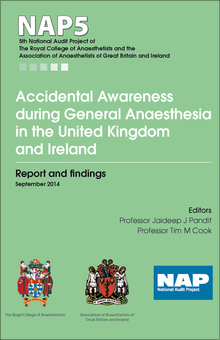 The NAP5 Anaesthesia Awareness Support Pack is designed to hopefully redress the distinct lack of policies or protocols for management of reports of Accidental Awareness during General Anaesthesia (AAGA) identified in NAP5. 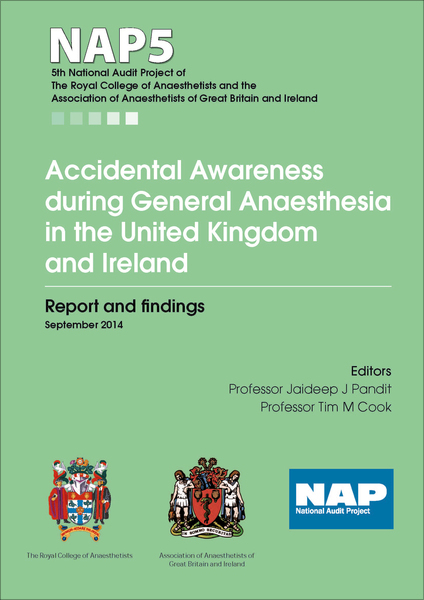 The pack includes the necessary tools to analyse reports of AAGA in the same manner as was done in NAP5 and a suggested pathway of care involving anaesthetists and psychologists /psychiatrists as needed. If you would like to leave feedback regarding the support pack, please contact us.